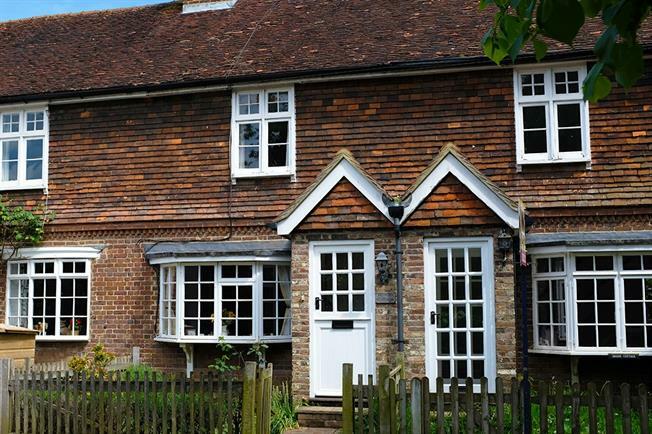 2 Bedroom Terraced Cottage For Sale in Tonbridge for Asking Price £350,000. Freeman Forman are delighted to offer to the market this beautifully presented character two bedroom terraced cottage located on the leafy edge of South Tonbridge, yet still within a short distance of the mainline station. The ground floor offers a cosy living room with open fireplace and a modern fitted kitchen/diner. On the first floor there are two double bedrooms and a bathroom. Outside, there is a small front garden, and at the rear is a generous lawn garden with patio area and an office/studio which has power and lighting, and is ideal for working from home.